"Behind the front, strong northerly winds are gusting 90 to 100 km/h," reads a warning from Environment Canada. Environment Canada has issued wind warnings for much of central and southern Alberta, amid blowing snow and freezing rain. 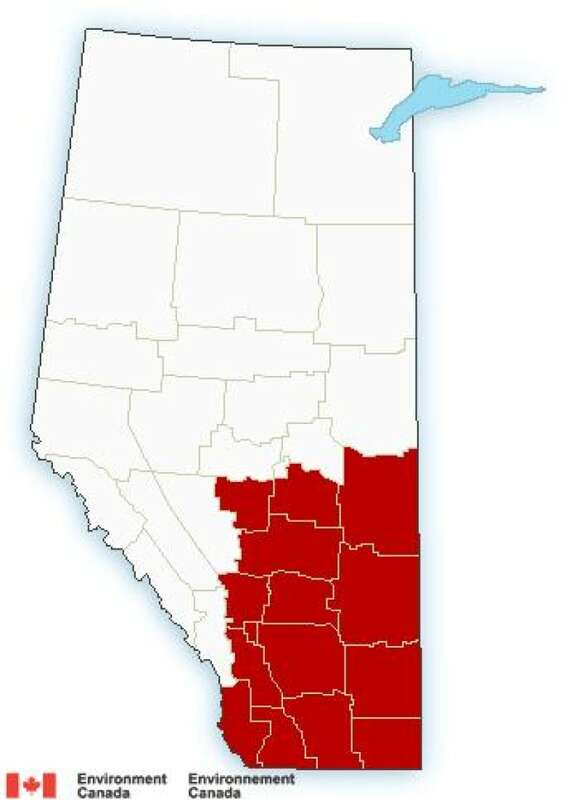 "A strong cold front is dropping quickly southward this morning and will move through southern Alberta by afternoon," the warning reads. "Behind the front, strong northerly winds are gusting 90 to 100 km/h." The warning adds rain showers will turn to flurries with reduced visibility in the afternoon. "Temperatures will also drop rapidly behind the front to below zero through the day. The freezing temperatures may cause icy conditions to develop on roads and sidewalks," it reads. "Damage to buildings, such as to roof shingles and windows, may occur. Be prepared to adjust your driving with changing road conditions due to high winds."